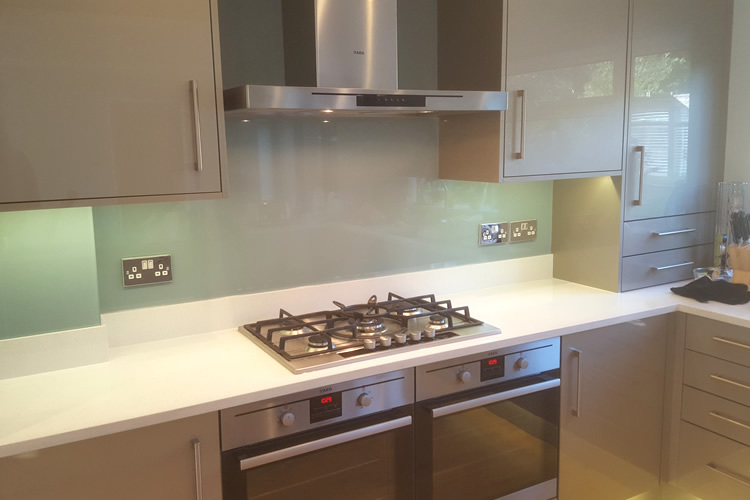 A splashback is glass surface with either a solid colour or patterned design, which is protected with a durable, hygienic and non-porous surface finish or glass. Wherever possible we try to install our splashbacks as a single unit so there aren’t any joins. 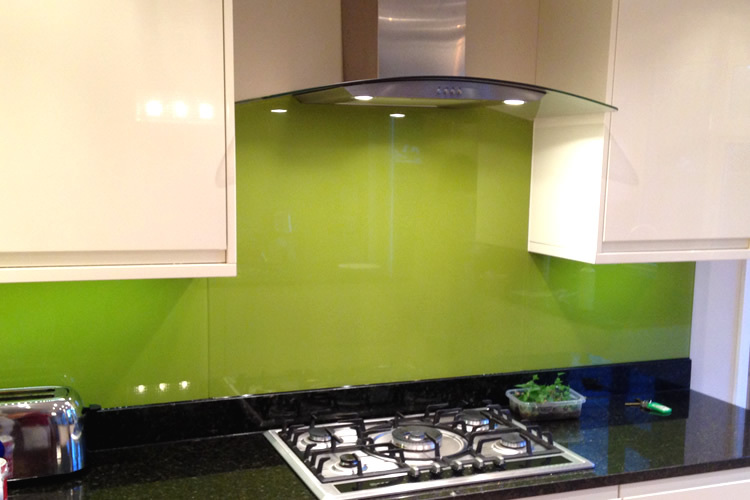 Glass splashbacks are becoming increasingly popular thanks to their lovely finish and easy clean surface. Just wipe the glass clean with a lint free cloth after splashes with a cloth – there is no need to use tough cleaning products. Our splashbacks are made from toughened glass so it withstands heat from the hob and accidental knocks from cooking pans. We provide an option that uses low iron glass that allows your chosen colour show through without being distorted by the natural colour of glass. 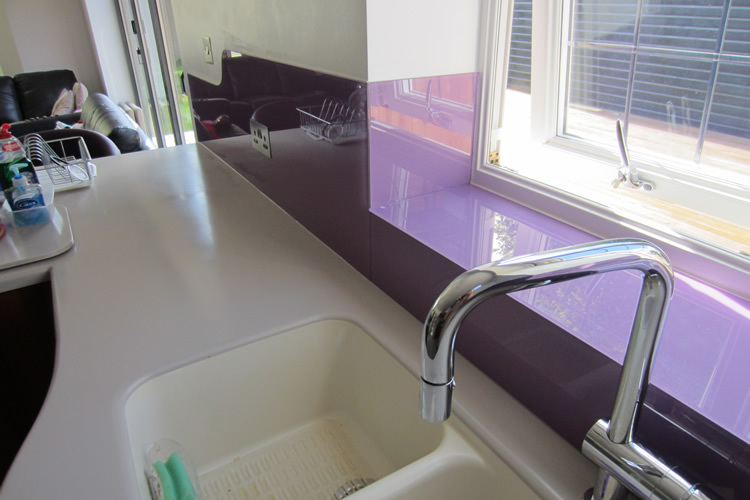 Glass Splashbacks are hard wearing, easy to clean and offer a practical alternative to other splashback materials. If you install a glass splashback you can kiss goodbye to the issue of re grouting tiles. Erosion from from the water can reduce the life of your tiles and can result in ongoing maintenance, which can be avoided with a Splashback. Another common issue is that tiles can break and would need replacing over time. Whilst this is not a common problem it can be a pain especially if you can’t find matching tiles. Tiles can break during everyday use of your home and sometimes when undertaking DIY projects. 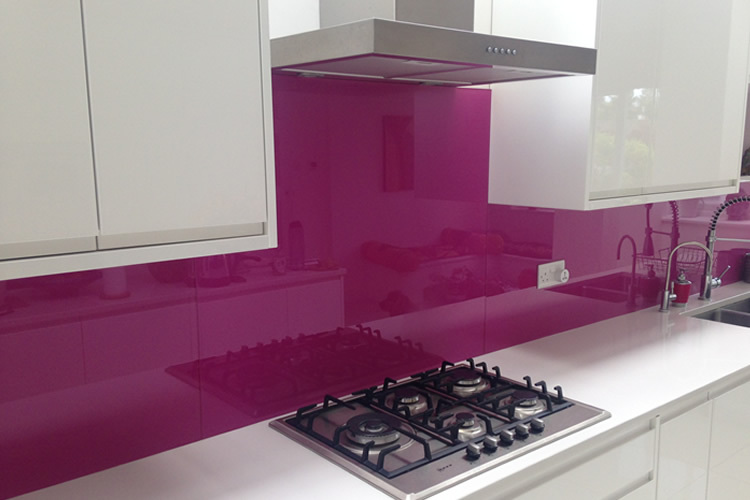 Our glass splashbacks are available in a selection of colours and finishes to suit you. They offer a premium finish and provide flexibility in terms of size, shape and patterns. 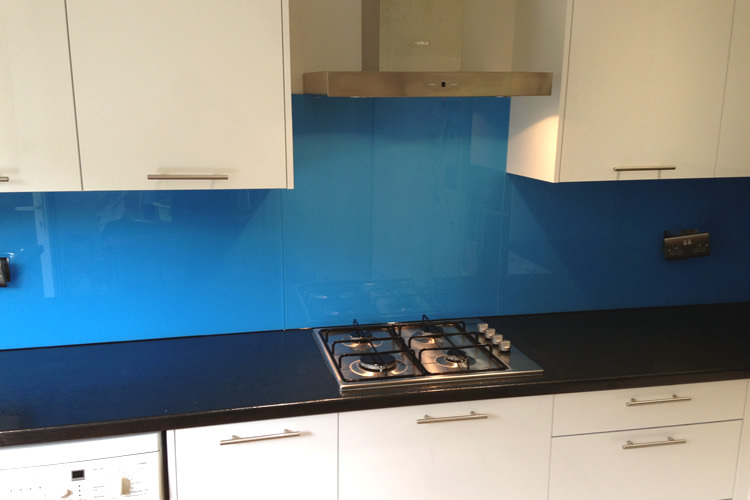 Splashbacks make a bold statement and we can find a colour to suit your desired colour scheme. If you are unsure of a colour, we recommend that you order a sample before placing your order. Contact us for information on the full range of colours that are available. Please Note: We have made every effort to make sure the colours on screen as accurate as possible. Unfortunately, we can’t guarantee an exact colour match as different computer screens use different colour settings, which is outside of our control.